There's a war on in New York City. The lines of loyalty were drawn way back in 1898 and, ever since, it's been battle for borough superiority. A team of hackers has ushered this county rivalry into the internet age, turning the Big Apple into a giant Risk board where check-ins replace dice rolls and armies are gathered on Foursquare. In World of Fourcraft users pledge fealty to a particular locale then, for the honor of their homeland, check-in to wrest control of neighborhoods from their residents and defend their own turf from potential usurpers. The whole project was whipped up last weekend during a hackathon at New York's General Assembly. At the moment it does little more than tally check-ins, but the creators plan to add new features in the future. Now, go forth and do battle for your block but, don't stray too far -- to the north and east of the Boogie Down Bronx, and the south and west of the Slums of Shaolin, lies The Waste Land. World of Fourcraft brings battle of the boroughs to Foursquare originally appeared on Engadget on Fri, 01 Jul 2011 11:22:00 EDT. Please see our terms for use of feeds. 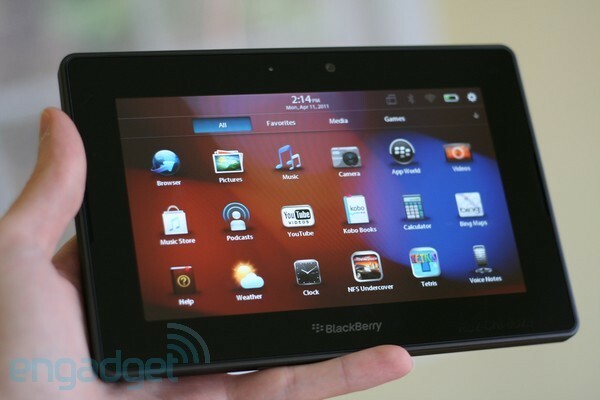 Most tablets function just fine on their own, but RIM's BlackBerry Playbook introduced a unique, yet restrictive interface that limits Bluetooth tethering to a similarly-branded handset. This feature, called BlackBerry Bridge, lets your tablet piggyback on a handset's 3G data connection, also enabling access to productivity apps like email and calendar, which are still otherwise unavailable on the PlayBook. Unfortunately, this option hasn't been made available for AT&T users, but that's about to change, as the feature will be added to App World today. While the Bridge suite is totally gratis, enabling the AT&T 3G data connection requires a monthly tethering plan of $45, which means anyone grandfathered into the unlimited data feature will need to decide if it's worth the jump. Bridge not sounding like your cup of tea? Don't worry -- at least you can take comfort in knowing that the days of pining for native email are numbered. 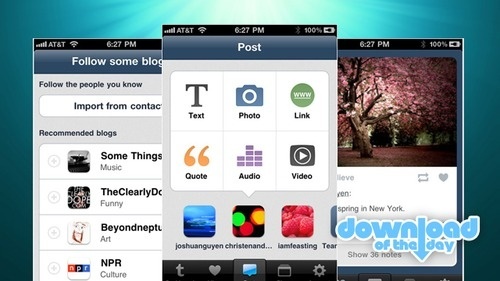 AT&T to enable BlackBerry Bridge support before sundown originally appeared on Engadget on Fri, 01 Jul 2011 12:35:00 EDT. Please see our terms for use of feeds. A computer solving a Rubik's cube? P'shaw. Doing it in 10.69 seconds? Been there, record set. But to crack one of any size? Color us impressed. Erik Demaine of MIT claims to have done just that -- he and his team developed an algorithm that applies to cubes no matter how ambitious their dimensions. Pretty early on, he realized he needed to take a different angle than he would with a standard 3 x 3 x 3 puzzle, which other scientists have tackled by borrowing computers from Google to consider all 43 quintillion possible moves -- a strategy known simply as "brute force." As you can imagine, that's not exactly a viable solution when you're wrestling with an 11 x 11 x 11 cube. So Demaine and his fellow researchers settled on an approach that's actually a riff on one commonly used by Rubik's enthusiasts, who might attempt to move a square into its desired position while leaving the rest of the cube as unchanged as possible. That's a tedious way to go, of course, so instead the team grouped several cubies that all needed to go in the same direction, a tactic that reduced the number of moves by a factor of log n, with n representing the length of any of the cube's sides. Since moving individual cubies into an ideal spot requires a number of moves equal to n&sup2;, the final algorithm is n&sup2;/log n. If we just lost you non-math majors with that formula, rest assured that the scientists expect folks won't be able to apply it directly, per se, though they do say it could help cube-solvers sharpen their strategy. Other that, all you overachievers out there, you're still on your own with that 20 x 20 x 20. Scientists develop algorithm to s! 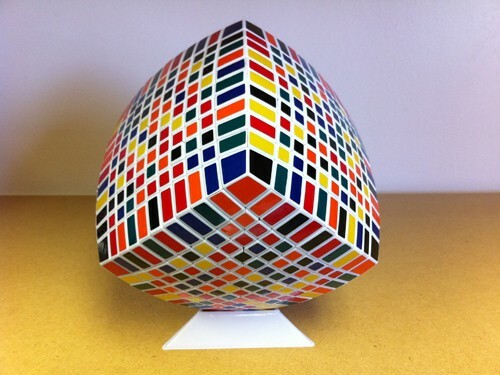 olve Rub ik's cubes of any size originally appeared on Engadget on Fri, 01 Jul 2011 12:57:00 EDT. Please see our terms for use of feeds. 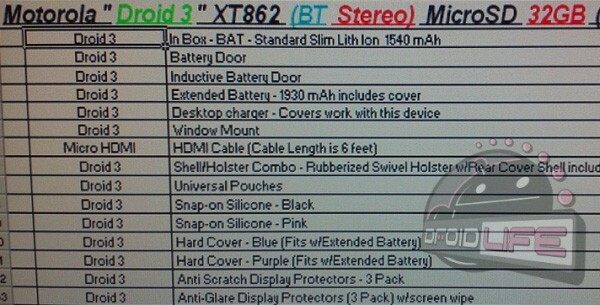 Can't wait to get your hands on Vizio's upcoming budget tablet? Good news, beginning today, you can put your $400 where your mouth is, by pre-ordering the device straight from the company's site, starting at 1:30PM ET. That amount will get you the Gingerbread tablet, along with a 16GB MicroSD card, and a folding folio case. Pre-ordered devices will start shipping on July 18th. Those who snoozed and therefore lost will be able to pick one up in stores that same week. Update: Let the pre-orders begin! Vizio Tablet goes up for limited pre-order, starts shipping mid-July originally appeared on Engadget on Fri, 01 Jul 2011 13:05:00 EDT. Please see our terms for use of feeds. It may not be all that fast in the broader world of aircraft speed records, but French pilot Hugues Duval still has a fair bit to boast about with his latest accomplishment. Not only did he actually fly the aircraft pictured above -- which weights just 200 pounds and has a wingspan of 16 feet -- but he manged to hit a top speed of over 175 miles per hour, breaking his own record for the fastest all-electric airplane by about 15MPH. Not surprisingly, the plane itself (powered by two 35 horsepower electric motors and a pair of 1.5 kWh batteries) is better suited for short hops and the odd record attempt than any long-haul flights, as it's not able to fly for much more than 25 minutes at a time even at a more reasonable 65 miles per hour. Video after the break (en Français, of course). French pilot sets big speed record in tiny electric airplane (video) originally appeared on Engadget on Fri, 01 Jul 2011 14:12:00 EDT. Please see our terms for use of feeds. Cybernics -- it's not a typo, it's a completely new field that mixes cybernetics, mechatronics, and informatics with an all-human core. 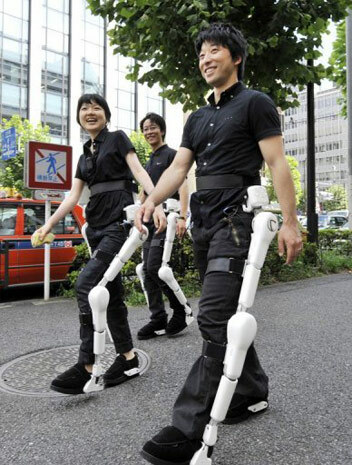 Pioneered by Tsukuba Univeristy designer Yoshiyuki Sankai, the Hybrid Assistive Limb (HAL) exosuit originally created to aid Japan's eldery has now found an even nobler mission -- assisting disabled tourists. Through detection of weak muscular bioelectrical impulses in the legs, this RoboCop-like lower body suit boosts its wearer's load-bearing abilities by a whopping 176 pounds. The exoskeleton tech first helped paralyzed Seiji Uchida nearly tackle Switzerland's Breithorn peak in 2006 and is now getting another go at the disabled traveler's bucket list. This time 'round, Uchida hopes his ride atop a HAL-outfitted human will successfully carry him to the top of Normandy's rugged Mont Saint-Michel, paving the way for other similarly handicapped travelers to do the same. Although the robotics in question here is more mech suit than say, dental training real doll, it's still a huge leg up for the nascent research industry that got its kick-start making a wish come true. HAL exosuit takes a Cybernic approach to disabled tourism originally appeared on Engadget on Fri, 01 Jul 2011 14:31:00 EDT. Please see our terms for use of feeds. Firefox/Chrome/IE: Swidget is a browser add-on that swaps banner and box ads for useful widgets, like the weather, news headlines, or even your Facebook feed. Swidget works on Windows or Mac OS, but only supports Firefox on the Mac. On Windows, Chrome, Internet Explorer, and Firefox are all supported. Once installed, the add-on places a button at the top of banner and block ads to click that replaces them with a widget that you choose. The gallery of widgets is broad: you can choose weather, stocks, clocks, headlines, and more. The only downside is that Swidget doesn't work automatically: you have to click to replace each ad on the page one at a time. Plnnr is a neat webapp that saves you the trouble of hiring a tour guide for your next vacation by providing you with smart itineraries that are customized based on criteria you provide. It'll even recommend a convenient hotel in your price range. You start by signing up and providing a little information about your interests. Plnnr doesn't support every city you might want to visit, but it offers a number of popular destinations. Once you select where you headed, you let it know what kind of places you want to see, how many days you have to see them, what kind of hotel you're looking for, and a few other details. 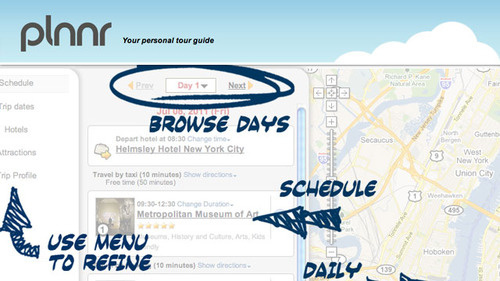 Next, it puts all that information together and comes up with an itinerary and you can check it out. Before you commit, you can tell it how you feel about each choice. If there's something you don't like, veto it. If it's at a bad time in the itinerary, say so. If you just don't know what it is, click on its name and you'll get an explanation along with photos. Once you're done, print it out and take it with you on vacation. Plnnr is completely free to use, so go give it a try if you're looking for things to do next time you travel. Go shopping online for a microSDHC card and you'll find that while manufacturers don't hide the speed specs, they're not exactly crowing about 'em either. Make no mistake, though: Samsung is mighty proud of its new 32GB number, which boasts a class 10 speed rating and read / write rates of 24MBps and 12MBps -- ideal numbers for those of you who plan on making good use of your phone's 1080p camera. If you're a storage buff, you know that class 10 is the highest speed category for SD cards at the moment, and that it sits above classes 4 and 6 -- the tiers covering many other microSDHCs on the market. No word just yet on pricing, but we think it's safe to say you'll be dishing out a premium. 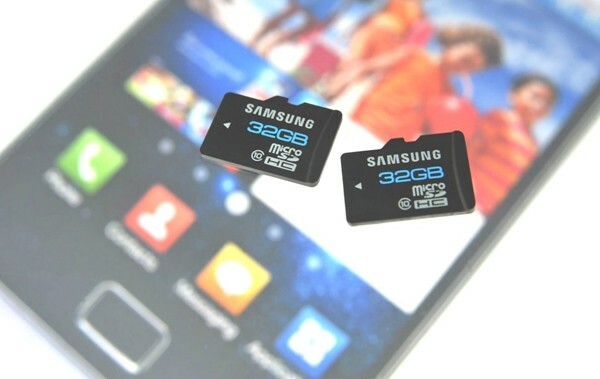 Samsung announces 32GB microSD card capable of 12MBps write speeds originally appeared on Engadget on Thu, 30 Jun 2011 12:02:00 EDT. Please see our terms for use of feeds. 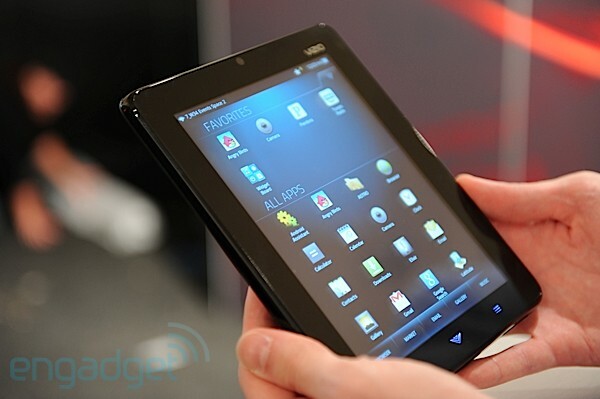 It's hard out there for a Samsung Galaxy Tab owner, watching Honeycomb slates hit the market by the bushel, with a lucky few stepping up to Android 3.1 and its resizeable widgets. Sprint, at least, is still giving the 'ol Tab some love -- according to an anonymous tipster, the Now Network will push out an update to Gingerbread, something Tab owners overseas have already been enjoying. The upgrade's expected to roll out starting July 5th, and will include not just Android 2.3, but a step up to HID Bluetooth as well. Oh, and while it's at it, Sprint will also release a fix for a bug in the Samsung Transform that has interfered with PRL and data profile updates. Sounds like as fine a way as any to beat the post-holiday weekend blues. 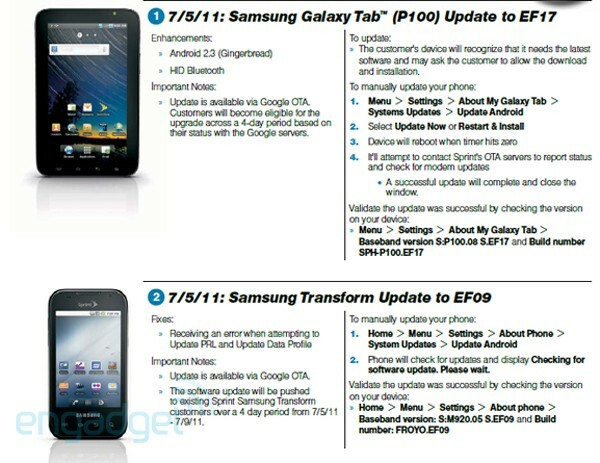 Sprint updating the Samsung Galaxy Tab with Gingerbread on July 5 originally appeared on Engadget on Thu, 30 Jun 2011 12:45:00 EDT. Please see our terms for use of feeds. AMD is due to release a batch of new Llano APUs next month that are specifically tailored to desktops rather than laptops. The most powerful among them will be the 2.9GHz A8-3850, which has already caused a stir on the review circuit for one simple reason: it pulls off a brutal "one shot one kill" on Intel's HD 3000 integrated graphics. 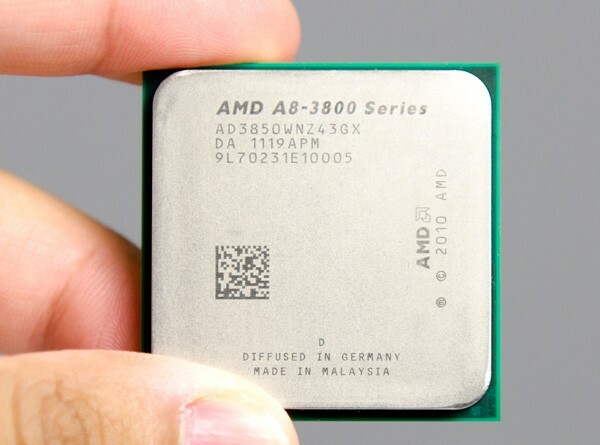 AnandTech raised an impressed eyebrow at the fact that all its benchmarking games were playable on the $135 AMD chip, which roughly doubled frame rates in titles like Modern Warfare 2, Bioshock 2 and World of Warcraft compared to the more expensive Sandy Bridge i5 2500K. TechSpot declared the APU its "new budget king," with graphical performance "on another level" compared even to an i7. However, the superlatives quickly evaporated once reviewers shifted their focus to the CPU. TechReport spotted that pure CPU performance per dollar was actually lower than what you'd get from a lowly i3. Moreover, it reckoned you'd only have to spend an extra $70 to buy a much more powerful CPU and a separate graphics card -- an option that comes "awfully close to making the A8-3850 seem irrelevant." Ouch. Nevertheless, if an affordable processor with integrated graphics is what you're after, then it's fair to say this one sets the standard. Click the source links below for full reviews. AMD Llano desktop APU gets reviewed: the best integrated graphics in town originally appeared on Engadget on Thu, 30 Jun 2011 14:00:00 EDT. Please see our terms for use of feeds. Having a difficult time getting your honeydew list checked off because you're trying to level up in Mafia Wars? You may want to just chuck the whole sheet of paper in the trash. Buried deep in Google Plus' source code are a few curious references to at least two new services that may very well be destined for the invite-only social networking suite. The first is Google Games, the tech giant's first venture into the world of social gaming. While this isn't a big stunner -- recent job postings insinuated that this feature would come around sooner or later -- it makes perfect sense for it to be included as part of the Google+ experience to help strengthen Mountain View's bid against the likes of Facebook. Also on the company's white board is Questions, a likely love child of Google's $50 million acquisition of Aardvark. When the source code offers up hints like "you might try rephrasing or tagging your question to make it easier for someone to answer," along with the utterance of sharing questions with others and commenting on answers, nothing could be more indicative of a social service. There still isn't a strong indication that we'll see these two features pop up anytime soon, but the hamster wheels are definitely turning right now, and we're piecing the clues together. At the rate things are going, these services may easily be ready before we all get invites. Google+ code reveals intent to unleash Games and Questions to the social world originally appeared on Engadget on Thu, 30 Jun 2011 14:42:00 EDT. Please see our terms for use of feeds. We've already seen press shots and teaser videos of Sony's S1 Honeycomb tablet and dual-screen S2 (and had our eyes on them ourselves), but Germany's Golem website managed to spend a bit of time with both of the devices at an event in Munich, and has now provided what's surely the best look at them to date. Unfortunately, that's still not exactly a thorough look -- there's just the single image of the S1 above, and an 18 second video of the S2, which you can check out after the break. 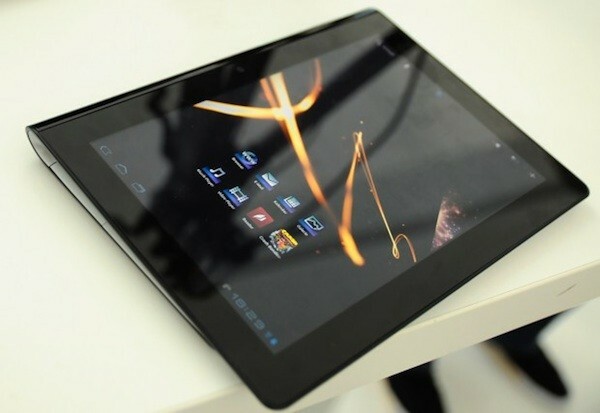 Sony's S1 tablet spotted in the wild, S2 captured briefly on video originally appeared on Engadget on Thu, 30 Jun 2011 16:13:00 EDT. Please see our terms for use of feeds. Rumor has it that ASUS wont be the only company with a sliding Android tablet this holiday season -- DigiTimes claims to have it on good authority that Acer will be launching its own 10.1-inch slate with a peekaboo QWERTY stashed behind the screen. The ARM-powered device is reportedly being manufactured by Compal, but beyond that your guess is as good as ours. By the time it lands we should be getting our first taste of Ice Cream Sandwich, but it's a pretty safe bet if this unnamed device does ship later this year, it'll do so with Honeycomb on board. 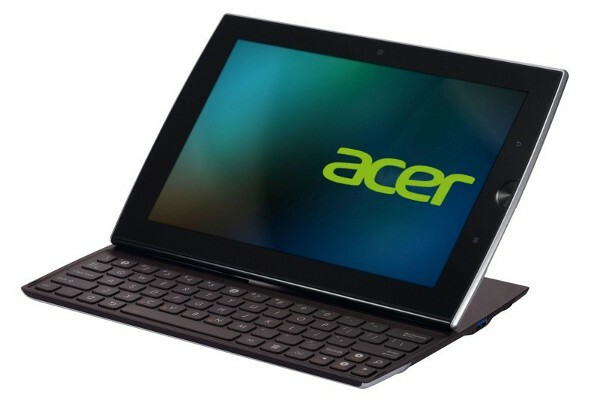 Acer planning a sliding Android tab for the holidays, won't fit in your stocking originally appeared on Engadget on Thu, 30 Jun 2011 19:30:00 EDT. Please see our terms for use of feeds. Many of us are perfectly content viewing only 2D content on our mobile devices, but if you've been dying to add a bit more depth to your smartphone's display, Global Wave may have just what you're looking for. At the 3D and Virtual Reality Expo in Tokyo, the Japanese company demoed its Pic3D sheet, which converts your Windows-based desktop or laptop, or iPhone, iPad, or iPod touch into a 3D display. The sheet uses a lenticular lens system instead of a parallax barrier for a smoother, more consistent image, yielding a reported 90-percent transmission level and 120-degree field of view. The company's Windows and iOS apps output video in a side-by-side format, simulating a 3D image. The software also allows you to view side-by-side content from the web, submitting the YouTube URL of a compatible video, for example -- perhaps not the most elegant solution, but a good start, if it works. Prices range from ¥2,000 (about $25) for an iPhone or iPod touch sheet, all the way up to ¥15,000 (about $186) for a 23-inch desktop version. We'll be on the lookout for Pic3D at the Tokyo Game Show in September, but in the meantime, you can get Diginfo TV's take in their video after the break. 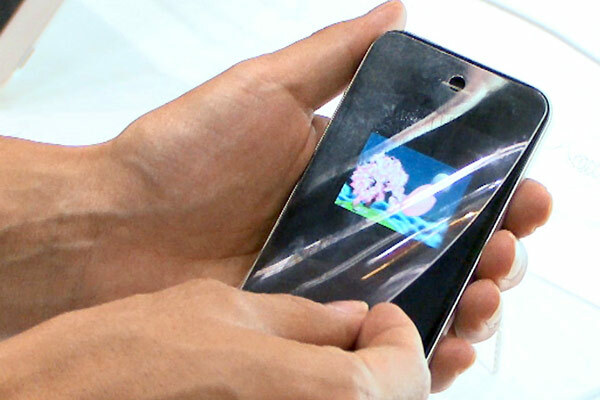 Pic3D sheet brings glasses-free 3D to iPhone for $25 originally appeared on Engadget on Thu, 30 Jun 2011 20:11:00 EDT. Please see our terms for use of feeds. When it comes to home theater PCs, size matters -- and it doesn't get too much smaller than Sapphire's original Edge HD mini PC, pictured above. In fact, Sapphire saw no reason to fiddle with the Edge's diminutive form factor when designing the HD2, and instead poured itself into improving the HTPC's specs. Not only is the updated mini-rig small enough to mount behind your HDTV, but it also packs a 1.8GHz dual-core Intel Atom, 2GB RAM, and a 320GB hard drive. All this (and 1080p VGA / HDMI out, of course) at 30W, "20 times less power than a typical desktop PC," according to Sapphire. No word on price (or pics, for that matter), but feel free to jump past the break for an official press release with full specifications. 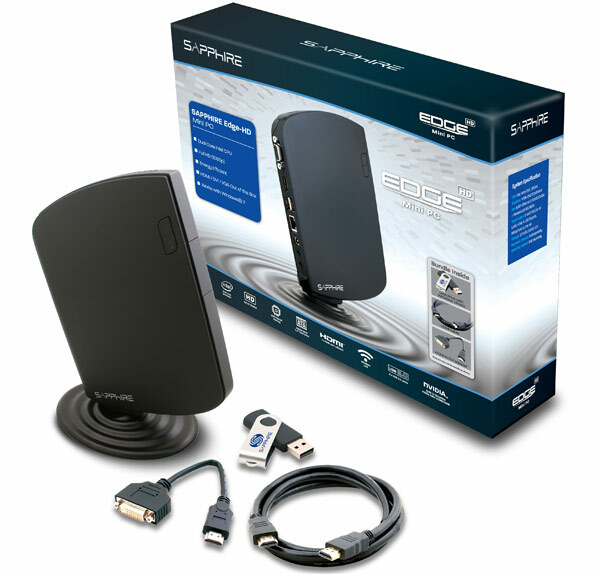 Edge HD2 Mini PC is an HTPC that hides behind your TV originally appeared on Engadget on Thu, 30 Jun 2011 22:40:00 EDT. Please see our terms for use of feeds. A team of khaki-clad Google engineers, calling itself the Data Liberation Front, has taken up the cause of freeing your data from the restrictive confines of El Goog's servers. 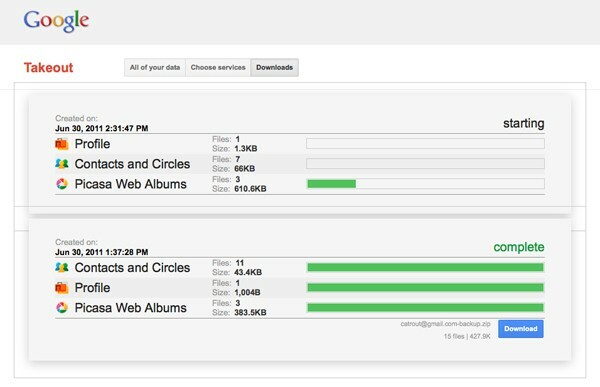 Google Takeout, as the program has been billed, rips your various stashes of data from Buzz, Circles, Picasa, Contacts, and your Google Profile, and quickly bundles them in a zip file for download. The resulting booty is yours to do with as you choose. Takeout was announced the same day Google's latest social initiative sprung to life, offering an alternative to the notoriously hard to transfer data of its obvious competitor. But we're sure that was just a coincidence. Right? A hilariously nerdy promo video awaits you after the break. Google Takeout promises radical left wing-themed data extraction for Circles, more (video) originally appeared on Engadget on Fri, 01 Jul 2011 03:06:00 EDT. Please see our terms for use of feeds. Screen Grabs chronicles the uses (and misuses) of real-world gadgets in today's movies and TV. Send in your sightings (with screen grab!) to screengrabs at engadget dot com. Nokia's hookup with the new Transformers movie runs deep -- some of its international X7 launches have been themed around the Dark of the Moon three-quel that's just come out in cinemas -- so it's no surprise to see plenty of the company's handsets in the film itself. The metal-backed, 4-inch X7 gets the most screen time, quickly showing off Ovi Maps in 3D, but there's also a portrait QWERTY device which may be the recently launched E6 or an earlier model such as the E72. 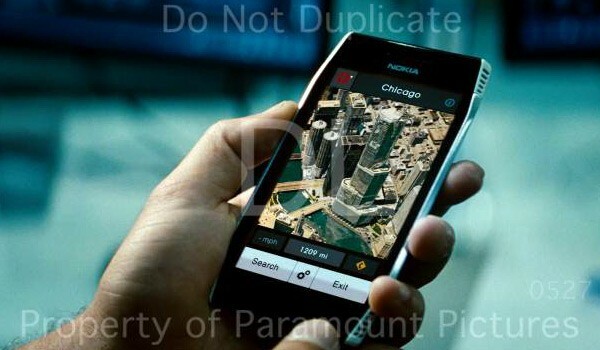 A lot of consternation has also arisen regarding a third Nokia handset glimpsed in Transformers 3, which could well be an N950 running MeeGo, though if you ask us, there's no way a MeeGo phone would take 157 minutes to save the world. We'd expect a double-tap to kill the baddies, an edge-to-edge swipe to get the girl, and a simple flicking gesture to turn the lights out. Screen Grabs: Nokia X7 scores cameo in third Transformers movie, joined by N950 lookalike originally appeared on Engadget on Fri, 01 Jul 2011 06:30:00 EDT. Please see our terms for use of feeds. The latest Skype update for Android is available to everyone, but it only enables video chat on four specific handsets. Fortunately, impatient modders have gone some way to correcting this profound injustice, by creating APKs that activate video calling on other handsets too. So far we've heard of successful ports on the Samsung Galaxy S II and the HTC Sensation, Thunderbolt and EVO 4G. If you've got some other handset with Android 2.3, a little experimentation with the APK might also be worth your while. However, we just tried it on an Xperia Arc and didn't get very far: the app ran, but efforts to communicate with an Xperia Neo resulted in one-way video, a locked landscape mode and plenty of awkwardness. Let us know if you fare better -- you'll find a Thunderbolt-specific download at the DroidLife source link, and a more general APK at TechPetals. Skype 2 video chat unofficially enabled on the Galaxy S II, Sensation, and others originally appeared on Engadget on Fri, 01 Jul 2011 07:05:00 EDT. Please see our terms for use of feeds. So, you've read the rumors, scoped out the leaks, and circled multiple dates on your calendar -- just to cover all of your Droid 3 bases. You can now add a catalog of accessories to the stack of intel for this Motorola slider, including an inductive battery door (most likely harnessing the power of Qi), and a smattering of cases and screen protectors. Also thrown in the mix is a 1930mAh extended battery so you can fuel a marathon of South Park reruns and take full advantage of the last week of unlimited data from Verizon. Although knowing about the accessories is nice, we'd prefer to find out the important stuff... ya know, like how much Big Red's new Droid will cost. Droid 3 accessories leaked, Moto's new slider gets wireless charging back plate and more originally appeared on Engadget on Fri, 01 Jul 2011 08:09:00 EDT. Please see our terms for use of feeds. Nikon engaged in a bit of conceptual product show-and-not-as-much-tell at the French Cité des sciences et de l'industrie exhibit, Hello Demain (Hello Tomorrow). The four prototype cameras on display ranged from the clearly defined -- a fully customizable SLR that swaps the lens, grip and LCD screen at your whimsy -- to the mysterious webcam dongle-ish i-Ball of unknown purpose, to a mundane six-inch screener. But the real étoile of this forward-facing soirée is that Multi-Ball cam -- guaranteed to be a panoramic morning-after hit (or cause for much hungover consternation). While these concepts reside proudly in the province of tomorrowland, it's only a matter of time before they digitally immortalize your precious visage. 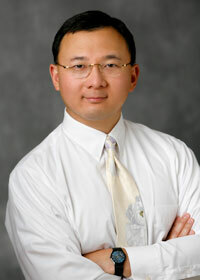 Check the source for additional protoplastic photographic proof. 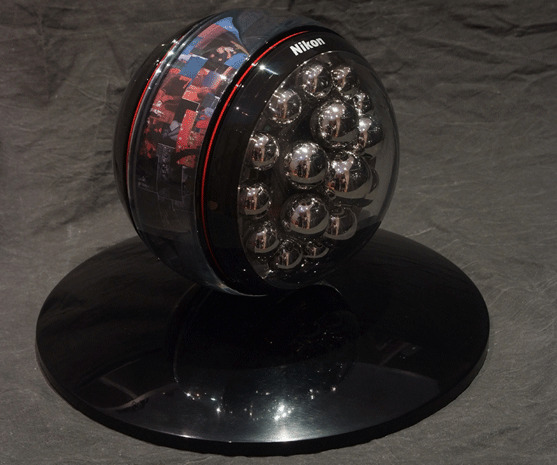 Nikon shows off concept cameras in France, says hello to tomorrow originally appeared on Engadget on Tue, 28 Jun 2011 16:14:00 EDT. Please see our terms for use of feeds. Sony's Cyber-shot DSC-HX100V been available for a little while now, but it's flown somewhat under the radar when it comes to in-depth reviews. Photography Blog's now chimed in with its take on the camera, however, which is not only thorough but effusive in its praise. According to the site, the HX100V is simply one of the best super-zoom cameras they've tested (30X, in this case), with it delivering some excellent still images and best-in-class 1080p video, along with some welcome added touches including an intuitive focus / zoom ring and built-in GPS (although the latter will lead to a 25 percent hit in battery life if you leave it on all the time). Some of the few drawbacks are a lack of a RAW shooting mode, and an LCD that folds out but doesn't rotate, but the site says those are pretty easy to forgive considering everything else you get for the $400 or so asking price. Hit the source link below for the full review. 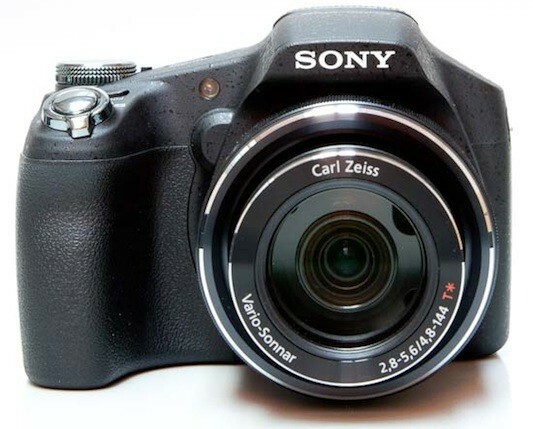 Sony Cyber-shot DSC-HX100V gets reviewed, deemed one of the best super-zooms around originally appeared on Engadget on Tue, 28 Jun 2011 17:34:00 EDT. Please see our terms for use of feeds.